Starting next week, YouTube’s HD mode will add support for viewing videos in 720p or 1080p, depending on the resolution of the original source, up from our maximum output of 720p today. Blockbuster, a provider of in-home movie and game entertainment, announced plans to feature the BLOCKBUSTER OnDemand movie download service in select Motorola phones. Through the agreement next generation Motorola phones will feature the OnDemand application, providing on-the-go download access to Blockbuster’s digital library of current movies. LG has launched the first DivX HD 1080p certified Blu-ray player. The BD390 – originally displayed at CES in January – has an 802.11n WiFi module and support for DivX streaming from a DLNA server. 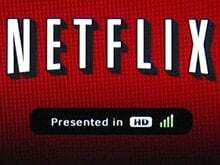 Microsoft Vista users can now stream films from Netflix through the Windows Media Center. The development comes after Microsoft announced that it has expanded its partnership with the movie service.